Leader of the People's Republic of China from 1978 to 1992 who is best known for his involvement in the 1989 massacre in Tiananmen Square. He is credited with helping China become one of the fastest growing economies during the end of the 20th century. He participated in a French work-study program. 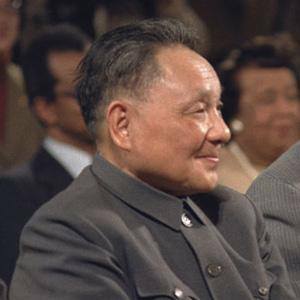 Though he worked under him his economic policies were very different than Mao Zedong's and when the latter died he led his country towards a market economy. He was married three times; his third wife, Zhuo Lin, married him in 1939 in Mao's cave dwelling. Jiang Zemin was his successor.